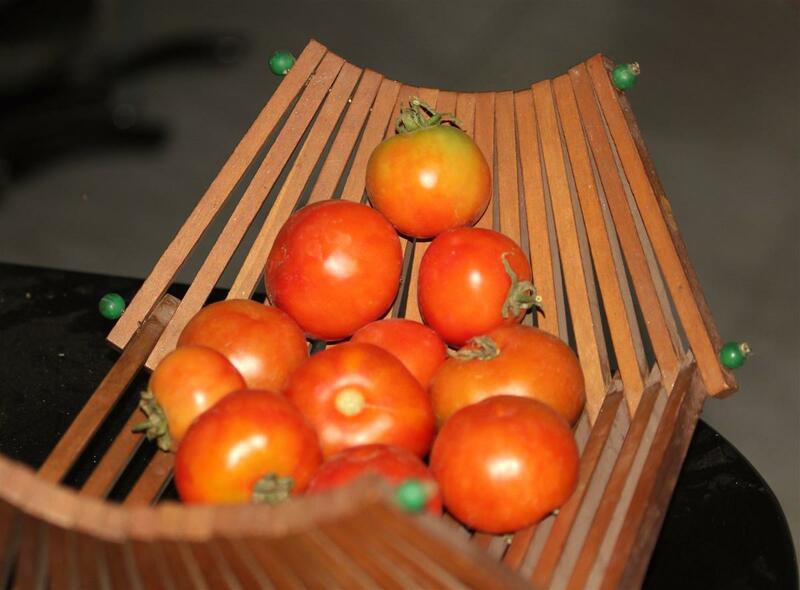 Dinu's Yarden: Tomatoes, first real growing! I was not serious about these tomatoes in the garden because they grew from the kitchen waste thrown in the yard and would often spread some distance only to rot away after producing one or two little fruit. I wondered how farmers grew so much that they would be left to rot when they cannot sell the produce. There is even a Tomato Festival in Spain where they throw tomatoes at people! We have heard of bad politicians being thrown tomatoes at. Let me come to more serious matter now. When the new garden space was decided, I demarcated the halves where I would grow ornamentals and kitchen veggies. So I was just browsing the net. Some years ago I had just in passing seen some tomato mesh to support the plant, but had not taken seriously as I could not believe my yard tomato plants would grow that much! When I saw a really beautiful tomato vine support pole, I was impressed. I wanted to try it real serious this time. That was in November. I had two metal gates meant to serve me as a garden trellis handy. I placed them at the demarcated line for growing tomatoes. I found a few plants from the compost pit and planted them just like I had done before! As it began to grow taller, I observed how they got trained to the trellis, but it needed some help when a branch would hang by its weight. I've not put any manure to the soil. Just some ordinary soil that was there which I sieved out stones which I dislike. I kept adding some dry leaves and some wood ash from time to time to the base of the plants. I spray some water to the leaves to clean the dust as this is a very dusty season. Picture taken from the 'ornamental half' of the garden. I tied a piece of nylon net to hold the branches. I am happy so many fruits have grown! It has good taste and stays fresh for a long time. Now I want to grow more! I will try with some manure and on the way, I learnt from a video by Dave at Dave's Garden how to grow tomatoes. I saw there that the plant has to be sowed a bit deep. I am going to try this and also add manure in my next attempt after the summer months. Home grown tomatoes seldom rot and so I've to search for rotten tomatoes in the compost pit now, for the next time!